Check out our Cherry Almond Hemp GRANUESLI in the February 2019 edition of Bon Appétit ! The February edition of Bon Appétit magazine which hit newsstands January 18, 2019 is the annual Healthyish edition. This years publication focused on twenty-one people who are all changing the way we eat, shop, and live today. One of the twenty-one people chosen was Jessica Young, the founder of BUBBLE GOODS, an online health food paradise that we partnered with since it launched in 2018. The Bon Appétit team dubbed Young as the “Healthy Snack Oracle” and we couldn’t agree more. 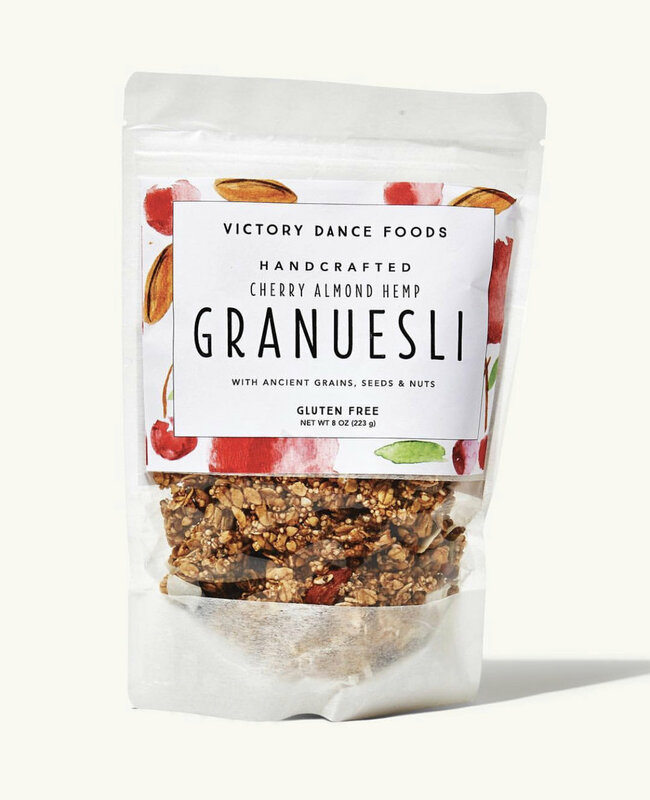 We’re honored to have our GRANUESLI included in this selection of healthy snacks and in Bon Appétit Magazine and to also have our GARDEN GRANOLA® featured in a larger roundup of nine snacks that can be viewed online Healthyish, a Bon Appéit Brand’s website, available here and pictured below. We are beyond grateful for our partnership with BUBBLE and all they have done to support our brand and all the other amazing brands that make up the health food paradise that is BUBBLE.